GRINNELL, Iowa — The Lawrence University women’s swimming team grabbed second place and the men finished fourth as the Vikings wrapped up a stellar weekend at the Midwest Conference Championships at Grinnell College. The Lawrence women finished with 572 points, edging past Lake Forest College, which finished with 534. This is Lawrence’s highest finish since the Vikings took second in 2009. Grinnell won the title with 981.5. Sophomore Emmi Zheng was the top finisher on the day as she grabbed second in the 200-yard breaststroke in 2:28.35. Lake Forest’s Lauren Dalecky took the title in 2:24.15. Lawrence’s Rosie Bauer was sixth and Rebecca Schachtman took eighth in the event. Paige Witter, Elise Riggle and Danielle Millin all posted third-place finishes for Lawrence. Witter took third in the 200 butterfly in 2:13.03 and teammate Sarah Schweickart was seventh. Riggle swam to third in the 1,650 freestyle in 18:27.09, and teammate Emei Thompson was sixth. Millin grabbed third in the 200 backstroke in 2:08.50. The women’s 400 freestyle relay team of Millin, Thompson, Bridget Duero and Eryn Blagg took fourth in 3:41.88. On the men’s side, Lawrence finished fourth with 303.5 points and nearly overtook Monmouth College for third. Lawrence, which was picked to finish seventh in the preseason poll, posted its highest finish since taking fourth in 2012. Grinnell won the title with 949. Max Stahl was the top finisher for the Vikings as he took fourth in the 200 backstroke in 1:58.62. The 400 freestyle relay team of Stahl, Travis Charlow, Liam Wulfman and Christian Bell took fifth in 3:16.79. GRINNELL, Iowa — Lawrence University swimming stars Emmi Zheng and Liam Wulfman led the Vikings Saturday on the second day of the Midwest Conference Championships at Grinnell College. Zheng posted a runner-up finish in the 100-yard breaststroke to pace all Lawrence finishers on the day. Zheng finished second in 1:07.49, less than a second behind top finisher Lauren Dalecky of Lake Forest College, who won in 1:06.53. Danielle Millin and Paige Witter both captured third-place finishes. Millin was third in the 100 backstroke in 59.48 seconds, and Witter grabbed third in the 100 butterfly in 59.50 seconds. Elise Riggle swam to fourth in the 400 individual medley in 4:44.99. Lawrence also got a pair of third-place finishes from its two relays. The 800 freestyle relay of Witter, Eryn Blagg, Bridget Duero and Emei Thompson took third in 8:00.47. The 200 medley relay team of Miller, Zheng, Witter and Blagg were third in 1:50.77. Lawrence is in third place in the team standings with 379 points. Grinnell leads at 672.5. Wulfman led the men by taking fourth in the 100 backstroke in 53.69 seconds and seventh in the 100 butterfly in 53.78 seconds. Tom Goldberg grabbed fourth in the 100 breaststroke in 59.97 seconds, and Travis Charlow was eighth in the 200 freestyle in 1:49.69. The 200 medley relay team of Wulfman, Goldberg, Charlow and Christian Bell took third in 1:38.57. The 800 freestyle relay team of Charlow, Wulfman, Max Stahl and Jordan Spalding was third in 7:23.38. Lawrence moved up to third place in the team standings with 236.5 points, and Grinnell is first with 636. GRINNELL, Iowa — The Lawrence University women’s swim team broke a school record Friday as part of a good opening day at the Midwest Conference Championships at Grinnell College. The women’s 200-yard freestyle relay team broke the 20-year-old school record and took third with a time of 1:40.06. The team of Paige Witter, Danielle Millin, Eryn Blagg and Bridget Duero topped the old mark of 1:41.10 set in 1997. The 400 medley relay team of Millin, Duero, Witter and Emmi Zheng also grabbed third in 4:01.90. The top finisher on the day was Millin, who took second in the 50 freestyle in 24.60 seconds. She was edged by Ripon College’s Lateesha Hiser, who won the event in 24.39 seconds. Witter grabbed a third-place finish in the 500 freestyle in 5:11.73, and Zheng and Sarah Schweickart finished fifth and sixth, respectively, in the 200 individual medley. The Lawrence women are in third place in the team standings with 168 points. Grinnell leads with 278.5. The Lawrence men are in sixth place with 89 points, and Grinnell is first with 261. The top finishes for the men came with a pair of relay teams. The 200 freestyle relay of Tom Goldberg, Max Stahl, Travis Charlow and Christian Bell was fifth in 1:28.91. The 400 medley relay of Stahl, Goldberg, Bell and Liam Wulfman was fifth in 3:37.60. Wulfman was the top individual finisher on the day as he took seventh in the 200 IM in 2:01.69. Witter led the Vikings’ contingent in that event as the Vikings grabbed four of the top six places. Elise Riggle was third in 5:32.02. Riggle also took second in the 400 individual medley in 4:56.52. On the men’s side, Max Stahl led the Vikings by taking third in the 200 backstroke in 2:06.20. Stahl also took fifth in the 100 backstroke in 57.96 seconds. Travis Charlow posted a fourth-place finish in the 500 freestyle in 5:20.80. APPLETON, Wis. — The Lawrence University men’s and women’s swimming teams have been named Scholar All-America Teams by the College Swimming and Diving Coaches Association of America. To be eligible for the award, a team must have a minimum 3.0 grade point average during the 2016 fall term. The Lawrence women, who earned the award for the third consecutive year, posted a sparkling 3.47 grade point average. The Lawrence men also earned the honor with a 3.01 grade point average. Lawrence was one of four schools from the Midwest Conference to have both of its teams earn the award. The Vikings return to the pool on Saturday to compete in the Wisconsin Private College Championships at Carthage College. APPLETON, Wis. — The Lawrence University men’s basketball team faces a difficult week with tough home and road games. Lawrence takes on No. 7 St. Norbert College in a home game on Wednesday, and the Vikings travel to Grinnell College for a stiff road test on Saturday. When and Where: Wednesday, Jan. 25, 5:30 p.m., Alexander Gymnasium. The Series: St. Norbert holds a 71-13 advantage in a series that dates to 1975-76, the first season of Lawrence basketball. When and Where: Saturday, Jan. 28, 1 p.m., Darby Gymnasium, Grinnell, Iowa. The Series: In a series that started in the 1989-90 season, Grinnell holds a 19-17 lead over the Vikings. Fast Fact: Rookie Shonell Benjamin picked up her sixth double-digit rebound game of the season when she grabbed 11 boards at Beloit this past Saturday. Benjamin leads the team and ranks third in the league in rebounding at 7.5 per game. When and Where: Wednesday, Jan. 25, 7:30 p.m., Alexander Gymnasium. The Series: St. Norbert holds a 58-46 lead in a series that started in 1918. The Green Knights have won the last 15 meetings. When and Where: Saturday, Jan. 28, 3 p.m., Darby Gymnasium, Grinnell, Iowa. Fast Fact: Lawrence is in what is shaping up to be a dogfight for a berth in the four-team Midwest Conference Tournament. The Vikings are tied for third place with Lake Forest with a 7-3 league record. The Vikings have a tough schedule from this point as they face Ripon twice, St. Norbert once and have to travel to both Grinnell and Lake Forest. When and Where: Friday, Jan. 27, 7 p.m., and Saturday, Jan. 28, 4 p.m., Appleton Family Ice Center. The Series: Adrian has an 18-0-3 lead in a series that started in the 2007-08 season. The Bulldogs currently have a five-game winning streak in the series. Fast Fact: Lawrence sophomore goaltender Greg Procopio was outstanding in his return to the net this past weekend. Procopio, who hadn’t played since being injured on Nov. 4, stopped 32 of 34 shots on Saturday, but it wasn’t enough as the Vikings lost 2-1 to the Saints. When and Where: Saturday, Jan. 28, noon, Koenitzer Aquatic Center, Carthage College, Kenosha, Wis.
Fast Fact: The Wisconsin Private College Championships is the last tuneup for the Vikings before Lawrence heads to the Midwest Conference Championships in mid-February. After Saturday, Lawrence does not compete again until the MWC meet at Grinnell on Feb. 17-19. When and Where: Saturday and Sunday, Jan. 28-29, all day, Castellan Family Fencing Center, Notre Dame, Ind. Fast Fact: The Vikings are returning to action for the first time since competing in the Badger Open on Nov. 5. LAKE FOREST, Ill. — Lawrence University’s Alena Hanson picked up an event victory on Saturday at the Lake Forest College Triangular. Hanson swam to victory in the 200-meter individual medley in 2:18.16 to lead the Vikings. Lawrence’s Elise Riggle grabbed second in the 800 freestyle in 10:05.19. Other top-three finishers for the Vikings were Paige Witter, who grabbed third in the 100 butterfly in 1:09.88, and Danielle Millin, who was third in the 100 backstroke in 1:12.81. Lake Forest posted a 121-92 win over Lawrence, and UW-Whitewater topped the Vikings 172-57. On the men’s side, Whitewater downed Lawrence 191-20, and Lake Forest topped Lawrence 174-23. The top finisher for the Lawrence men was Travis Charlow, who was fifth in the 100 freestyle in 59.49 seconds. The 200 medley relay team of Charlow, Max Stahl, Christian Bell and Tom Goldberg was fifth in 2:01.73. APPLETON, Wis. — The Vikings will all be on the road this weekend as the teams get deep into the heart of the winter season. 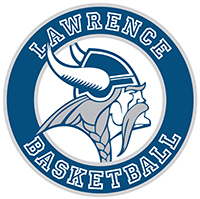 Lawrence University basketball hosts Lake Forest College on Wednesday, and the Vikings then travel to Beloit College on Saturday. 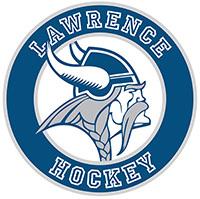 Lawrence hockey travels north to St. Scholastica for a big Northern Collegiate Hockey Association series this weekend. The Lawrence swimmers get a preview of a Midwest Conference heavyweight when the Vikings travel to Lake Forest College on Saturday. When and Where: Wednesday, Jan. 18, 5:30 p.m., Alexander Gymnasium. The Series: Lake Forest leads the series, which started in the 1975-76 season, 49-13. The Foresters have won 18 straight over the Vikings. When and Where: Saturday, Jan. 21, 1 p.m., Flood Arena, Beloit, Wis. The Series: Beloit leads the series 36-28 and has won the last 16 meetings with Lawrence. Prior to the current streak by Beloit, the Vikings had won six straight and 16 of 18. Fast Fact: Rookie Liesl Hostetter scored her first career point in the game against Illinois College. When and Where: Wednesday, Jan. 18, 7:30 p.m., Alexander Gymnasium. The Series: Lawrence holds a 58-50 edge in a series that dates back to the 1915-16 season. The Vikings have a 9-7 advantage over Lake Forest during the tenure of head coach Joel DePagter. The Series: In a series that started during the winter of 1911-12, Beloit holds a 101-74 advantage. Lawrence has had the better of the rivalry over the past 15 years. Lawrence has won 23 of the last 27 and included in that record is a 16-game Vikings’ win streak. Fast Fact: Senior forward Pete Winslow might still be smoldering because he was on fire over the weekend. Winslow went 10-for-13 from 3-point range for a blistering 76.9 percent. Winslow went 5-for-6 on 3-pointers in the win over Cornell and was 5-for-7 in the victory over Illinois College. When and Where: Friday, Jan. 20, 7 p.m., and Saturday, Jan. 21, 5 p.m., Mars Lakeview Arena, Duluth, Minn. The Series: St. Scholastica holds a 13-2-1 advantage in a series that started in the 2001-02 season. The Saints have won the last five meetings, and Lawrence’s last victory was a 3-2 win in the 2013-14 campaign. Fast Fact: Lawrence forward Nick Felan broke a four-game scoreless streak in a big way this past weekend at Aurora. Felan assisted on both goals in Friday’s overtime tie and then scored a pair of goals, including the game-winner, in Lawrence’s 5-3 victory on Saturday. When and Where: Saturday, Jan. 21, 1 p.m., Sports and Recreation Center, Lake Forest, Ill.
Fast Fact: The Vikings had their final home meet of the season this past Saturday and paid tribute to five seniors taking part in their final competition at Boldt Natatorium. APPLETON, Wis. — The Illinois Tech swim team topped Lawrence University in a dual meet Saturday at Boldt Natatorium. The Illinois Tech women downed Lawrence 120-96, and the Scarlet Hawks posted a 159-48 win over the men. The Lawrence women won four individual events and captured one relay victory. Elise Riggle took the 1,000-yard freestyle for the Vikings in 11:29.60. Paige Witter won the 100 butterfly in 1:03.04, and Danielle Millin raced to first in the 100 backstroke in 1:03.88. Emmi Zheng grabbed first in the 100 breaststroke in 1:11.41. The 400 medley relay team of Millin, Witter, Zheng and Eryn Blagg swam to first in 4:13.40. On the men’s side, Liam Wulfman was the lone winner for the Vikings as he took first in the 100 backstroke in 57.97 seconds. APPLETON, Wis. — Lawrence University standout Paige Witter has been named the Midwest Conference Swimmer of the Week for the second time this season. Witter (Denver, Colo./Washington), a senior, picked up the honor after winning a pair of events in a dual meet at UW-Oshkosh on Jan. 7. Witter also was chosen as Swimmer of the Week on Oct. 25. Witter showed her versatility in capturing her two wins against UW-Oshkosh. Witter grabbed first in the 100-yard butterfly in 1:02.28 and grabbed the top spot in the 500 freestyle in 5:28.33. Led by Witter, Lawrence forged a 115-115 tie with the Titans. This is the third time this season a Lawrence swimmer has won the conference’s weekly award. 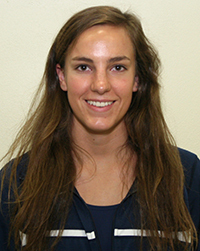 In addition to Witter’s two wins, Danielle Millin was the MWC Swimmer of the Week on Dec. 20. The Vikings return to action on Saturday when Lawrence hosts Illinois Tech at Boldt Natatorium.